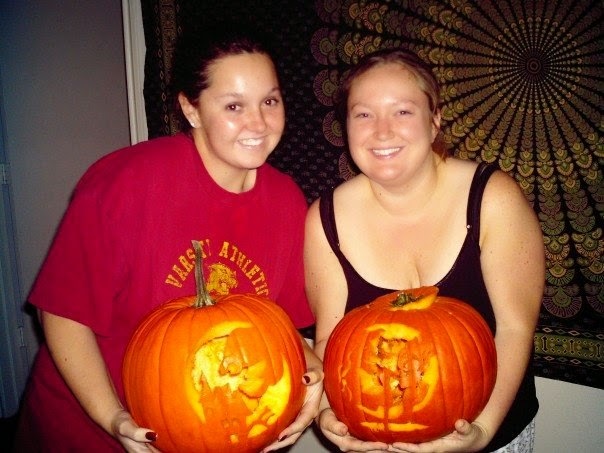 We haven't carved our pumpkins yet this year, so I thought I would show you a few from years past. 2006: First year of grad school. 2007: Second year of grad school. Fun! I still need to do my pumpkins for the year. We do too. Ours are sitting on our porch currently. The kids have Mr. and Mrs. Potato Head things to stick in theirs. 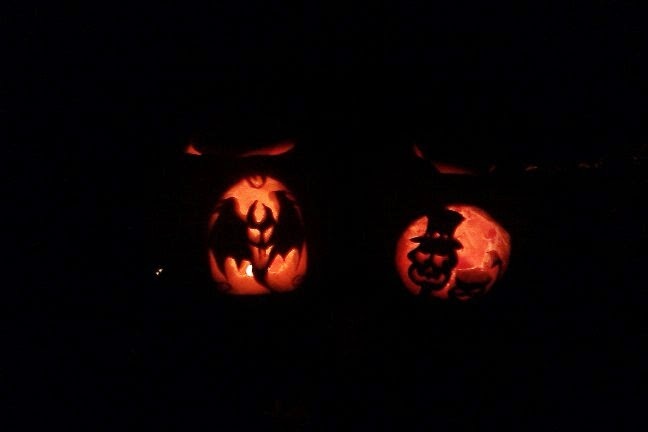 Alan and I will carve ours on Thursday. We always do it the day before Halloween so they don't go bad. Then I get my favorite part about carving pumpkins...the seeds! Because of the move, we're skipping that this year (sadly). But my pumpkins usually look as if they were mauled by a cat since I'm a terrible carver, so maybe skipping it isn't such a bad idea. :) Yours, on the other hand, look awesome! We did them out of a kit ;-) We didn't buy one this year so they will be freehand. Stay tuned to see what they look like! 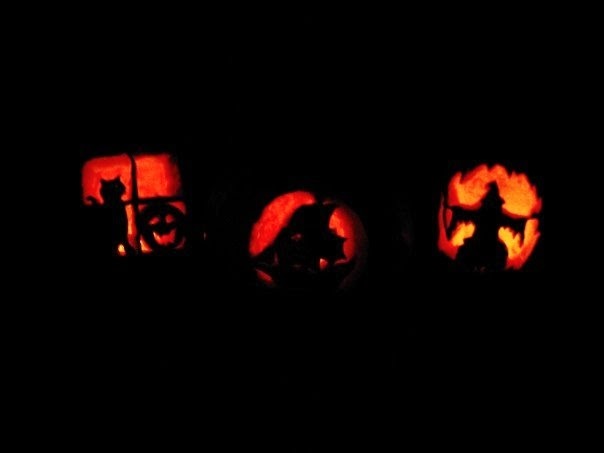 We totally carved ours this weekend! 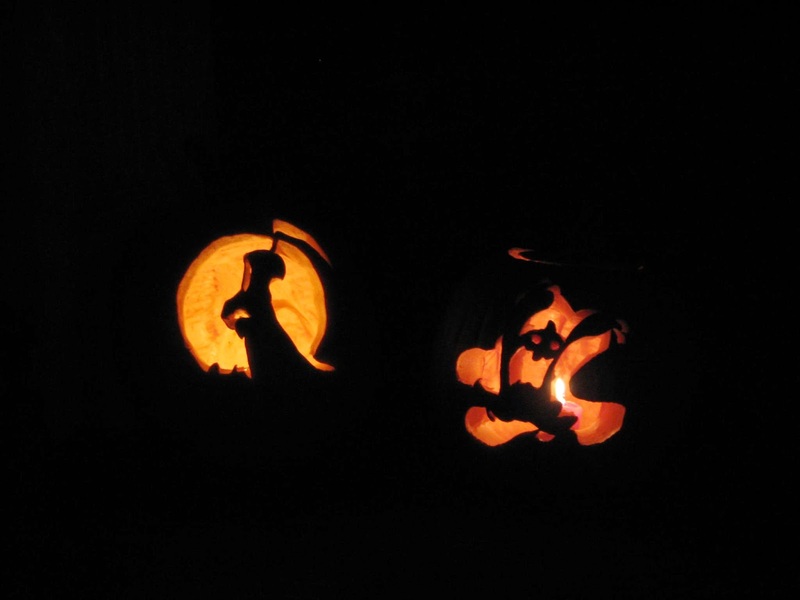 We don't usually carve ours until right before Halloween. We've got so much going on this week that it will probably be Thursday.